Arizona's burgeoning wine industry is now showcased in a new online interactive Wine Trail Map, built here at AZGS as part of a new Arizona Wine Country page on the Arizona Experience website. Three regions in Arizona are growing grapes for wine: Sonoita in Santa Cruz County, Willcox in Cochise County, and the Verde Valley in Yavapai County. 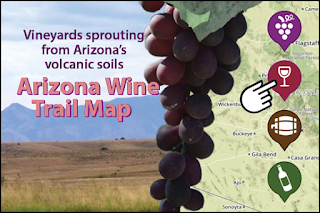 View the Arizona’s Wine Trail Map. Three small earthquakes were recorded widely scattered across northwest Arizona in recent days [right, yellow dots show epicenters of quakes recorded last week. Credit, USGS]. A magnitude 1.6 quake occurred on November 11, about 19 miles east-southeast of Boulder City, NV. 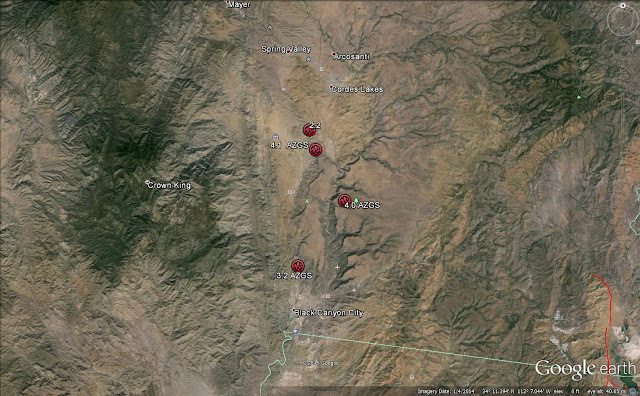 A magnitude 1.3 event occurred on November 13 about 21 miles south of Colorado City. A magnitude 1.4 quake occurred on November 15 about 34 miles southeast of Littlefield. There are no reports of any of these being felt. It's also unlikely that they are linked geologically. I concluded that "We have only to look around us at the dramatic landscapes of Arizona to appreciate the power of natural events that throw up mountains and volcanoes, carve immense canyons and constantly sculpt the land beneath our feet. 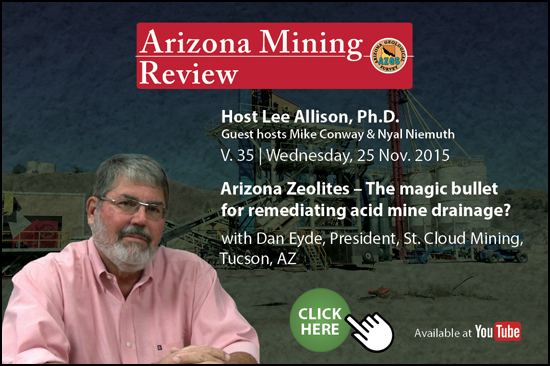 The geologic forces that created Arizona also create hazards and risks for us. Recent earthquakes are just one reminder of that." Last weekend I also did a live radio broadcast (KTAR, Phoenix and syndicated statewide) with Rosie Romero, host of "Rosie on the House" talking about earthquakes and landslides. The show is podcast at https://www.rosieonthehouse.com/radio/what-renters-should-know, in Segments 3 and 4. A magnitude 2.2 earthquake occurred last night at 8:33 p.m. about 13 miles north of Black Canyon City, Arizona, according to Jeri Young who manages the states seismic monitoring network at AZGS. 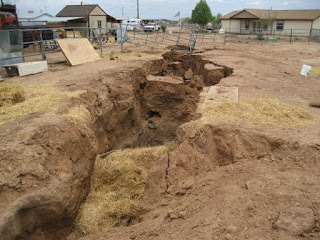 We received reports from ranchers in the area who felt the ground shaking. This is the fourth felt event in the area over the past several days. This is likely an aftershock to the largest event, a magnitude 4.1 quake at 11:29 p.m. last Sunday evening, which was felt over a large area of the state and rattled the entire Phoenix metro area. 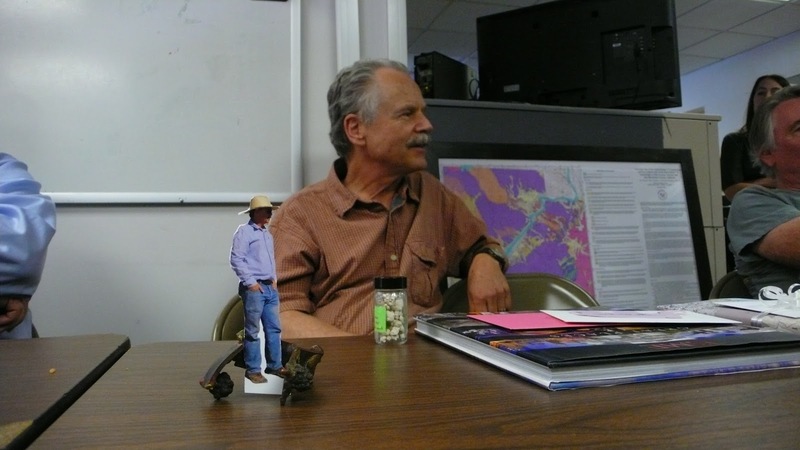 The USGS turned down our funding request to characterize the most active fault in Arizona to better understand earthquake hazards. Ironically, the letter informing us that the proposal was denied, arrived just hours after a series of earthquake shook most of the population of the state. Your proposal ... has been recommended for funding by the peer panel that reviewed the proposed research. Unfortunately, the U.S. Geological Survey (USGS) Earthquake Hazards Program does not have sufficient resources available to fund your proposal in fY 2016. 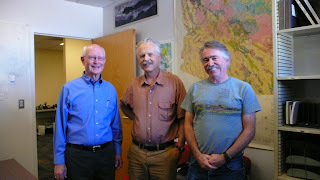 Of the 211 proposals reviewed under this Announcement, the U.S. Geological Survey (USGS) will support 39 proposals; will place 39 proposals on hold pending a funding decision in January 2016; will decline to fund 52 proposals due to a lack of sufficient funds; and will decline to fund $1 proposals that were not recommended for funding by the peer panels. Arizona suffers from a widespread perception that we don't have earthquakes and thus are low on the priority list for resources to address this hazard and risk to the population. http://activetectonics.blogspot.com/2015/11/links-and-commentary-on-earthquakes-11.html. The estimate comes from the USGS. 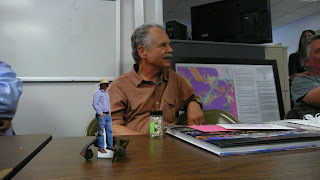 Ramon's added a number of links to relevant background materials and made the observation that "the mapped active faults to the east (Horseshoe, Carefree, and Sugarloaf--all similar orientation." We have not yet processed the first motions of the quakes to see what type and direction of movement is associated with the ruptures, and whether they correlate with the rough north-south alignment of the epicenters. 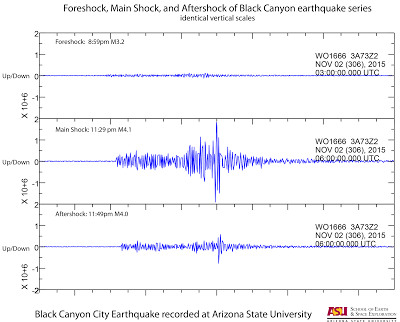 Ramon posted seismograms of the three events as recorded at ASU (right).